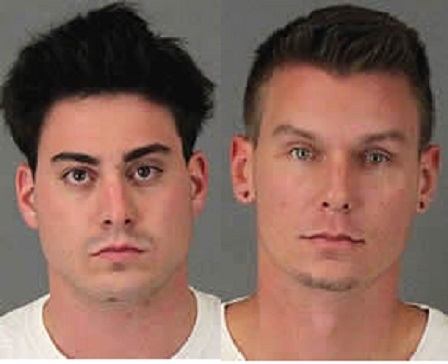 Temecula police officers arrested two men at 3:22 am on Sept. 30 after the men attempted to burglarize Chaparral High School in Temecula, according to a Sheriff’s official. Police arrested Adam Macciocchi, 22, and Dustin Harris, 26, in response to a burglary alarm, according to a Riverside County Sheriff’s report. After police arrived on scene, they discovered Macciocchi and Harris loading stolen property into their vehicle. The suspects attempted to run when confronted by police, Sheriff’s Sgt. Kevin McDonald said. Officers were able to take one of the suspects into custody immediately; the other escaped. He was later arrested at his residence in Temecula later in the afternoon, according to McDonald. Police officers were able to uncover evidence of two previous burglaries to Temecula Valley High School and Chaparral High School after they served search warrants to both suspects’ residences. This investigation is still ongoing. Anyone with additional information regarding these crime is encouraged to contact Investigator Brett Devine at the Temecula Police Department at 951 696 3000.